Wise Words from Sifu Rick! Friendship should not be based on what a person was, but what he or she is or can become! Saturday 1/4/14 Leadership class all Black Belt club members. Saturday 1/25/14 Annual Boot Camp Class 10:00am till 11:30pm. Karli Started with AASD in June of 2012. Joined by her two brothers Sifu Justin and Ryan, Karli has really come along as far as mastering the forms and positive attitude. Always giving 100% Karli not only is mastering her forms but understands the most important question is class, WHY not just how! 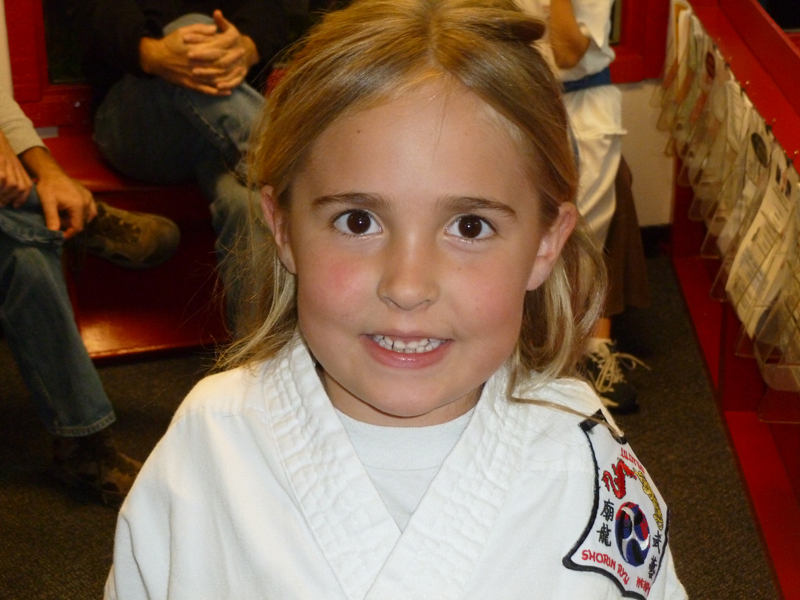 Currently a purple belt, Karli is well on her way to blue belt and eventually the prestigious Black Belt. Sifu Rick wishes to salute Karli’s parents Mat and Denise for all their support of Karli and our Black Belt school. the process of establishing something; firmness of purpose. They all say we need it or that it is important to have, but what exactly is determination? Having determination means putting your best effort toward a goal to make it happen. Where does that effort come from? Well, it can come from a variety of different areas. Perhaps your friends and family motivate you to put forth your best effort. It may even be your martial arts instructor or school teacher who helps you develop the determination it takes to make your dreams come true. No matter who or what motivates you, let the determination you develop shine in all that you do. Talk about the people and life experiences you have had that helped you discover your determination. IT’S A NEW YEAR AND THE POSSIBILITIES ARE ENDLESS! These are just a few areas to get you started, but there are several other categories to explore to help you create your list. Set yourself up for success and set some goals for the New Year!